NEW YORK, NY / ACCESSWIRE / December 21, 2018 / With the blockchain market now entering a new phase where business applications are being seen, the big question remains; how will the problem of scalability be solved? High Performance Blockchain (HPB), is making a bid to be the next step in blockchain technology with its unique solution of throwing hardware into the mix. Recently announcing that their public chain has reached 5,000 TPS, they’re ahead of the other popular public chains as Tron sits at 2,000 and EOS at 4,000. HPB’s Blockchain Offload Engine (BOE) is said to be a significant factor in reaching their numbers. This announcement came just three months after the launch of their MainNet. The HPB Node Network is currently run by 150 BOE Nodes. By nature of blockchain technology, a high global Node count offers greater security, irreversibility, and adheres to the core vision of blockchain technology. 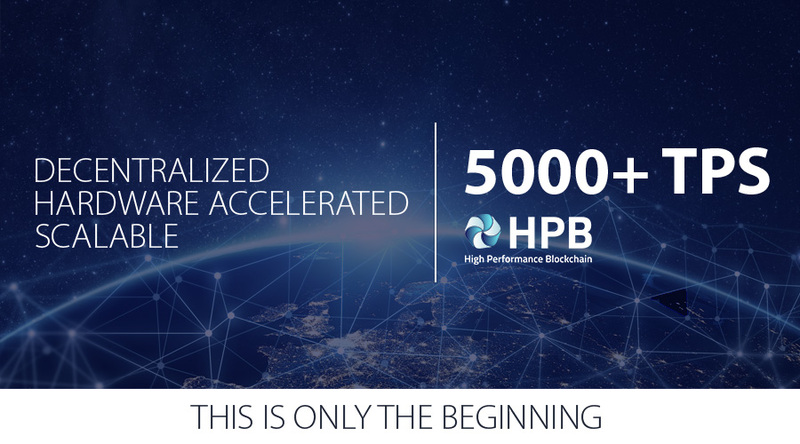 Despite having a large number of Nodes around the globe, HPB’s TPS results of 5000+ outperform projects run on significantly fewer Nodes. The BOE is a hardware chipset, designed by HPB to offload a large portion of the workload on a traditional server’s hardware. It also includes security features such as a random number generator, and handles all incoming and outgoing communications with the network. HPB’s consensus mechanism is built from the ground-up. Called Proof-of-Performance (PoP), the mechanism uses dynamic factors such as server performance, network bandwidth, and votes received in selecting who produces the next blocks. The industry is currently looking at many public chains that are scrambling to become the principle solution to business needs. Public chains have a diverse product offering, from Blockchain-as-a-Service, and offering a platform for DApps to develop on. The key driver for their success however, is whether they are scalable, enable real world applications, or advance the technology in their own way.